We demonstrate a technique for the design of neural network simulation software, runtime code generation. This technique can be used to give the user complete flexibility in specifying the mathematical model for their simulation in a high level way, along with the speed of code written in a low level language such as C+ +. It can also be used to write code only once but target different hardware platforms, including inexpensive high performance graphics processing units (GPUs). Code generation can be naturally combined with computer algebra systems to provide further simplification and optimisation of the generated code. The technique is quite general and could be applied to any simulation package. We demonstrate it with the ‘Brian’ simulator (http://www.briansimulator.org). The author would like to thank Romain Brette, Cyrille Rossant and Bertrand Fontaine for their work on Brian, testing of code generation, and helpful comments on the manuscript. This work was partially supported by the European Research Council (ERC StG 240132). Jones, E., Oliphant, T., Peterson, P., et al. (2001–2005). SciPy: Open source scientific tools for Python. http://www.scipy.org/. Rossant, C., Goodman, D. F. M., Platkiewicz, J., & Brette, R. (2010). Automatic fitting of spiking neuron models to electrophysiological recordings. 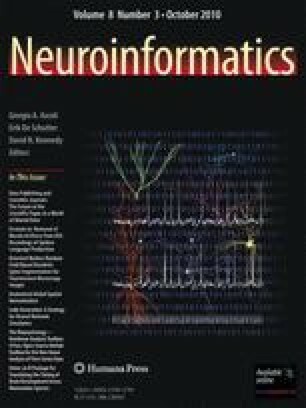 Frontiers in Neuroinformatics. doi: 10.3389/neuro.11.002.2010.